Ocean acidification combined with warming of the world oceans and loss of oxygen is having a severe impact on key Arctic marine species such as polar cod in the Barents Sea, according to a new study conducted by German scientists. The eight-year interdisciplinary study, which began in 2009 and involved more than 250 scientist in the German research network on ocean acidification BIOACID (Biological Impacts of Ocean Acidification), investigated how different marine species respond to ocean acidification – a change in the ocean chemistry that occurs when carbon dioxide (CO2) from the atmosphere dissolves in seawater. In addition to ocean acidification, the study, Exploring Ocean Change: Biological Impacts of Ocean Acidification, also examined the cascading effect of other stressors such as ocean warming, deoxygenation, overfishing and eutrophication – the increased concentration of nutrients in estuaries and coastal waters that causes harmful algal blooms, ocean dead zones and fish kills. By taking up carbon dioxide from the atmosphere, the ocean slows down global climate change. It acts as a gigantic carbon sink, without which our planet would heat up much more and much faster than we observe today. 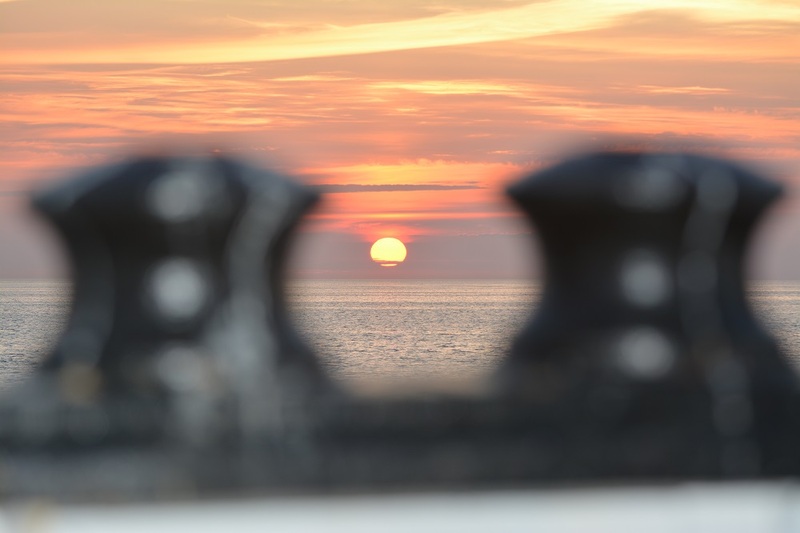 But as carbon dioxide dissolves in the ocean, it triggers a chemical reaction with far-reaching consequences: carbonic acid is produced and the water becomes more acidic – its pH declines, the study said. Since the beginning of the Industrial Revolution fuelled by the burning of fossil fuels – from coal to oil and gas – the average pH of the global ocean surface has already fallen from 8.2 to 8.1. That seemingly small change corresponds to an increase in acidity of about 26 per cent, according to the study. The study by some 20 research institutes combined laboratory and large-scale field experiments conducted with keystone species and natural communities in various habitats in the North Sea and the Baltic, the Arctic, and Papua New Guinea, to examine the effects of this increased acidification. The results indicate that by the end of the century, Atlantic cod stocks in the Baltic and the Barents Sea might be reduced to about a quarter of today’s size due to ocean acidification, said Felix Mark, marine ecophysiologist at Alfred Wegener Institute, Helmholtz Centre for Polar and Marine Research (AWI). 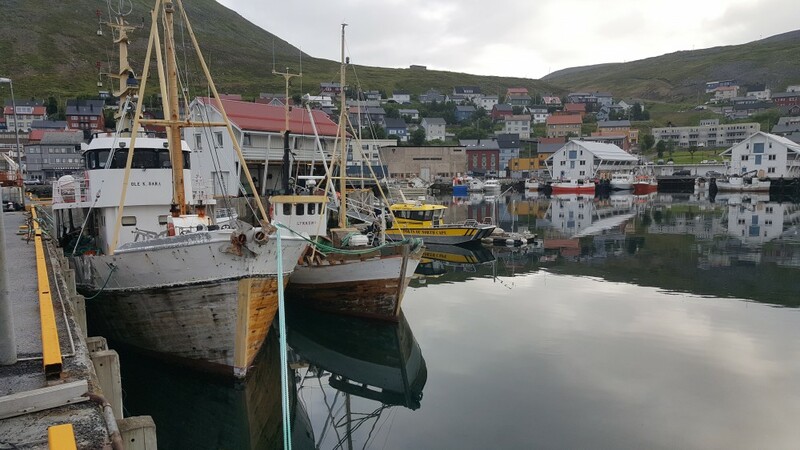 Rising water temperatures in the North Sea and the Barents Sea around Spitsbergen, are allowing the Atlantic cod to move northwards and invade the habitat of the native polar cod, said Mark in a phone interview from Germany. Laboratory experiments at Alfred Wegener Institute in Bremerhaven have shown that the highly specialised polar cod needs certain temperatures to thrive, said Mark who was the lead researcher in the BIOACID study into effects of ocean acidification on polar and Atlantic cod populations. In the meantime its larger southern cousin, the Atlantic cod, is far more able to adapt to changes in water temperature and the food web, and could eventually take over the polar cod’s environment, Mark said. “The Atlantic cod is a very strong predator, it eats about everything it can find, and for that reason it has the potential of overturning the whole ecosystem up around Spitsbergen,” Mark said. The polar cod have been the key species in that ecosystem, linking the lower levels of the food webs such as plankton to higher level food levels such as seals and whales, he said. The polar cod will likely be driven out of their ecosystem around Spitsbergen within the next two decades, depending on the speed of ocean warming, Mark said. A similar process could take place in more northern latitudes of the Arctic Ocean in Canadian and Greenlandic waters with the Atlantic cod moving into the habitat of the Arctic cod, which is closely related to the polar cod, he added. For the moment the two species are still there off the coast of Spitsbergen, Mark said. This might be good news for fisheries in the short term because it would lead to increases in stocks of Atlantic cod, he said. 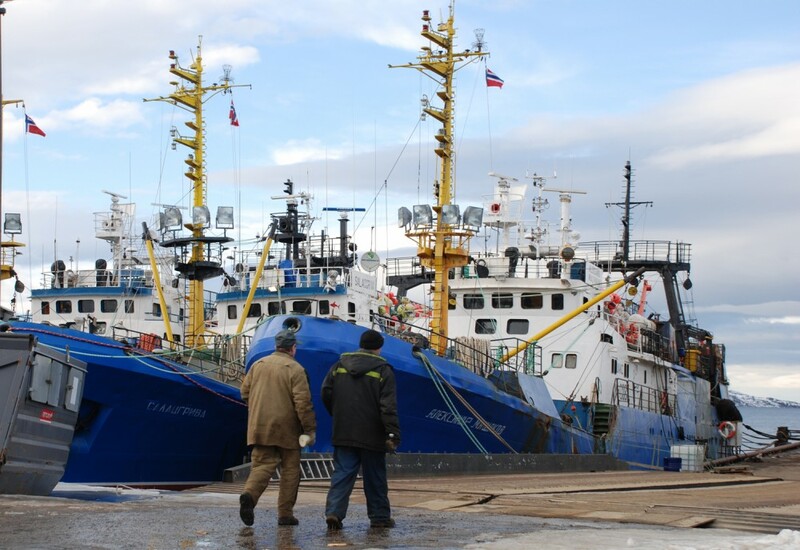 “For the moment Norway is very happy because they realized that the range of the Atlantic cod actually extends polewards into waters north of Svalbard and the Barents Sea, so actually the fishery yield is going up for Atlantic cod at the moment,” Mark said. But in the long run, it is unclear if the Arctic ecosystem can support stable populations of this voracious predator, Mark said. 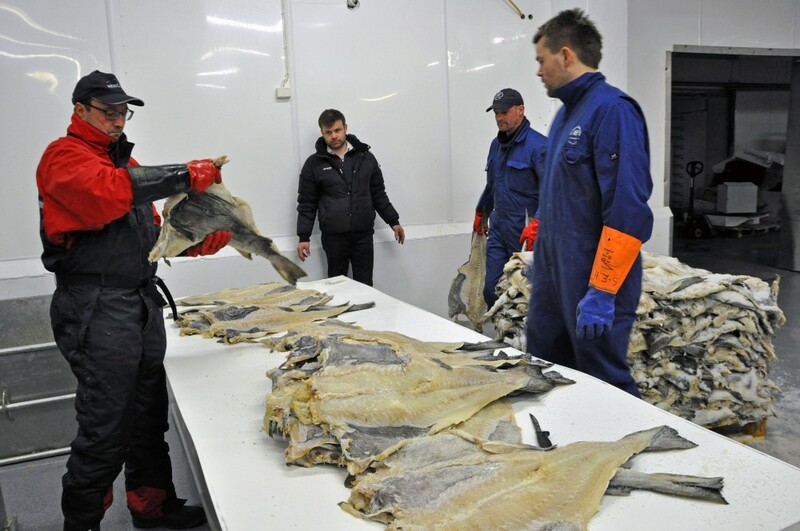 The BIOACID researchers showed their model projections to small-scale fishermen and tourism operators in Norway who are very concerned by their findings, Mark said. It’s also unclear how the eventual disappearance of the polar cod might affect Arctic marine life that prey on them and whether they can switch to the much larger Atlantic cod as their primary food source, Mark said. One of the major findings of their research was that ocean acidification affects the most the early life stages, such as the embryos in the eggs, Mark said. “You can look into an adult fish and you don’t see the immediate effects of ocean acidification and warming, but if you subject the offspring at the very early life stages to the same conditions, you would already see high mortality and reduced growth,” Mark said. The research also showed that that almost half of the marine animal species tested react negatively to already moderate increases in seawater CO2 concentrations. Organisms that need calcium to build their shells were more sensitive, while non-calcifying algae that use carbon dioxide for their photosynthesis may even benefit, the study showed. The study by 20 German research institutes was coordinated by Ulf Riebesell, marine biologist at GEOMAR Helmholtz Centre for Ocean Research Kiel, and Hans-Otto Pörtner, marine ecophysiologist at Alfred Wegener Institute, Helmholtz Centre for Polar and Marine Research and Co-Chair of the Intergovernmental Panel on Climate Change (IPCC) Working Group II. It was supported by funding from the German Ministry of Education and Research with €22 million.